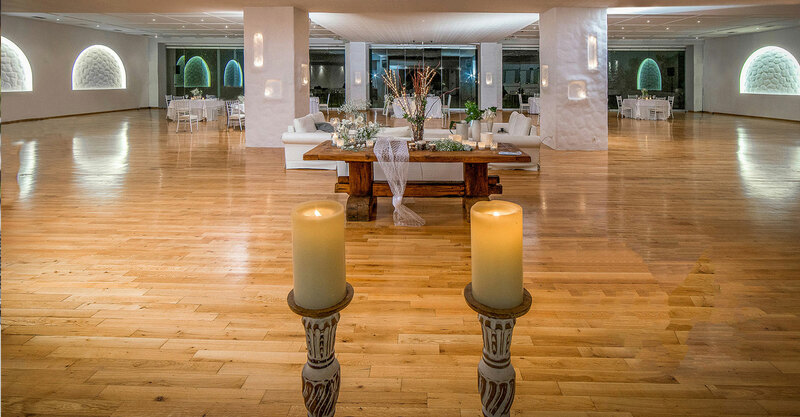 Amaltia Catering created the Italian restaurant Mano D'oro in Vouliagmeni which can host corporate events Party weddings baptism up to 80 people. Wedding venues and Wedding Venue Hall for your Wedding Reception, Kids Party, Birthday Party or Corporate Event for all seasons. For the wedding event of your dreams christening reception or any kind of social event in the south suburbs of Athens, near the sea in Varkizas's beach, in Athens - Greece. With background the blue of Saronic Sea and the light of the setting sun, your dreams become reality. A hybrid, place for all seasons with natural beauty, by the sea, in the south suburbs of Athens. Full featured place with parking, catering, bar, music, facilities for disabled persons and more. Blueprints for any kind of venue are available. Make the place of your dreams, choosing among a vast viraety of products and services. In the same company we offer professional Catering services, so we can raise the taste standards of your gastronomical journeys. the staff acted instantly and transferred the event under the closed hangar. Monday- Friday 9P.Μ. - 9Μ.Μ.